Do you ever fall into the trap of assuming that the average person is smarter than they really are? I tend to give people the benefit of the doubt, but today I had an encounter that removed all doubt unfortunately. Fly fishing stream etiquette in the Great Smoky Mountains seems straightforward, but today I learned that apparently it is not or else there are some very rude people in the world (quite likely that both of those are true). My two clients were fishing a favorite roadside stretch on Little River. So far as I saw, we were the only ones fishing in several miles of good water. We were literally still on the first hole catching the first trout of the day when a guy came walking down the bank rigged up with his fly rod and dressed to look like he knew what he was doing. Seriously, if you dress like a model for an Orvis catalogue, you better know what you are doing, at least in terms of stream etiquette. My optimistic side still wants to think that this guy was just clueless, but I'm also really losing faith in humanity so at this point I'll say it is a tossup. Either way, jumping directly in front of us and starting to fish upstream was beyond rude. If it was just me, I would ignore you and go find other water, but jumping in front of people who just paid a lot of money to fish with a guide for the day is unreal. Oh yeah, that hand gesture, the lifting of my arms and hands in the universal what in the world gesture, the one that you returned? That meant get the h3!! out of the stream, and I was being polite about it. Luckily for both of us, I decided it wasn't worth a confrontation and used it as an opportunity to teach my clients some fly fishing stream etiquette. We headed upstream and caught a lot of nice trout. Driving up river, we noticed his buddy a bit further upstream. I'm still not sure if they were really that clueless or just dumb. I took some pictures of their vehicle with the original intent of posting it widely online until I could figure out who it was. 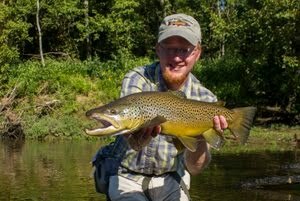 After a bit of time to cool off along with experiencing the joy brought by watching my clients catch some beautiful trout, I realize there is no need to throw someone under the bus. Well maybe there is good reason, but I'm not going to stoop to that level. Instead, I'm using this as motivation to, hopefully briefly and succinctly, summarize fly fishing stream etiquette in the Great Smoky Mountains National Park. 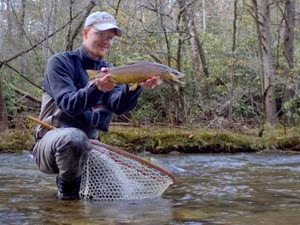 Fly fishing stream etiquette in the Great Smoky Mountains can vary a bit from stream to stream. The general rule of thumb is that, on larger roadside water like Little River, you should at minimum stay out of sight of other anglers but don't use that rule to cheat if the stream makes some tight turns. A fourth of a mile of water at minimum should be left for whoever is fishing below you and sometimes more if pressure is light. In other words, if you only see one other angler on the whole river, leave him a mile or better of water. On small streams, stream etiquette is even more important. My rule of thumb is give other anglers at least a half mile of water. More is always better and preferred when possible. If pressure is light, bump that up to at least a mile. I can easily fish a mile or more of water in a day and nothing is more frustrating than having someone jump in a short distance above you when they know you are fishing up. "Hey! Great day to be out fishing isn't it?" "I was planning on getting in upstream a ways but wanted to know how far you were going to fish?" "Well, my plan was to fish up to the next bridge and end there for the day." "Okay, I'll go another 1/4 mile upstream from that bridge just in case you feel like going a bit further." "Thanks, I really appreciate that." "No problem. Have a great day and catch a bunch!" "You too! Just so you know I've been wearing them out on a Fire Tiger Cactus Fly." "Thanks for the tip. I have a couple of those in my box and will give them a try." Exchanges like this actually really help to improve the overall mood of the day, much the opposite of our encounter this morning. When in doubt, always check with other anglers about their plans if they were the first ones on the water or trail. I'm a fast hiker and often overtake other anglers hiking upstream. When I do, I generally point out that they were there ahead of me and ask where they wanted to fish so I leave that water for them. It is usually much appreciated and sometimes you even make new friends in the process. The strangest thing about this whole thing is that I had an issue with stream etiquette last week as well and by a guide no less. I should also add that it is not any guide I know personally or whose websites I link to on this blog so you can draw your own conclusions. The "guide" had a giant Thingamabobber tied on so I really pitied them and their client. And, to be fair, they didn't jump right in front of us although they looked at us and then walked down to the stream and acted like they were going to. At minimum they spooked some fish at our next hole. In the end, they walked on upstream a bit although if we hadn't of been about to break for lunch it wouldn't have been far enough. The thing about these situations that amazes me is why someone would want to jump in front of another angler when there are hundreds of miles of untouched water available for you to choose from. So, next time you head for the Smokies, remember your proper fly fishing stream etiquette for a freestone mountain stream is NOT the same as it might be for a large tailwater and give other anglers a wide berth. 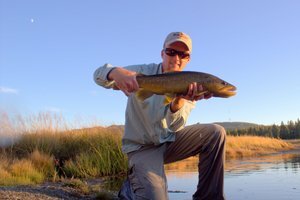 Stream fishing etiquette is basically the same no matter where you are. Unfortunately there are those, and I'll list them in order, stupid, idiot, rude, crude, and abusive individuals that just don't give a s..t about you or those you're fishing with. AND, now days they're just as likely to pull out a gun and shoot as give you the finger. Case in point, fishing the Lower Owens (artificial, barbless, etc) and a guy (with his guide, present company excluded) walk right up the center of the river and never glance to see if someone else is fishing there. Idiots abound. That is really unfortunate. Guides of all people should be displaying the best stream etiquette out there. I have a hard time with this one. It seems everyone has a different idea of what far enough away is from another angler. You say half mile while another says out of site then another says out of casting distance. There are no written rules so it's hard to say for sure or show someone that they are being out of line. I do agree you should give other anglers space. How much really depends on the type of water and how many people there are. If I just drove an hour and only plan to fish an hour and I see someone at one spot then another maybe a 1/4 mile upstream. I might or might not fish right in between them. It really depends on the situation. Some might say there's no situation that dictates you fish in between them and that's fine. I'm just trying to say there are no set rules that say other wise and if someone wants to get into a physical fight about it that seems even more ignorant. From the example you gave though it sounds like you're saying if someone drove 3hrs to fish a spot then came up and found a few other cars there they should drive even longer to find a less crowded spot because there's plenty of water. I can see your point but I think you need to look at the other side to. Not everyone fishes for a living and has unlimited time to seek out the ideal place to fish. Sometimes we just have to fish where we are. The goal isn't to make as many people mad as possible. Kevin, there are written rules now! Hahaha, just kidding. In all seriousness though, on a mountain stream, jumping in one hole upstream is a jerk move, no exceptions. You said, "From the example you gave though it sounds like you're saying if someone drove 3hrs to fish a spot then came up and found a few other cars there they should drive even longer to find a less crowded spot because there's plenty of water." What I actually said is that we were the only anglers on the river until this guys showed up and they had to drive right by a lot of GREAT water to get to our pulloff. It distinctly appeared that they were the classic "Someone is fishing here so it must be a good spot" type of people. These guys literally had to drive one pulloff up or down the river and they would have been fine, much less a mile or two. I totally understand your argument that when the river is crowded the rules change and would mostly agree with you. 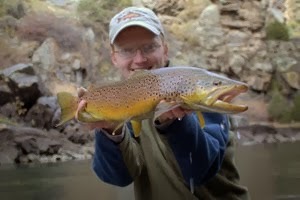 During the spring hatches, anglers may stake out individual pools and stay there for 3-4 hours. When you see anglers in every pulloff, I understand that the length of water available changes. When the whole river is available, I don't really care what water we are talking about. It is still a jerk move to jump on top of somebody. I guess my main issue when we talk about things like this is we can often times come off like we have some ownership of the water we fish. There is a certain level of mutual respect that should be given to every angler. That respect is usually taught to us by our parents. Not everyone is so lucky to get that info. I just chalk it up to no matter where you go there always has to be one ahole. It's kind of like natures way of evening out the world. Kevin, I understand that perspective and hope I did not come across that way but know how easy it is to accidentally say something that was not intended online. While I DO consider Little River my home water (not sure why people don't understand it belongs to ME! haha just kidding), I probably go further out of my way to not crowd other anglers than just about anyone. 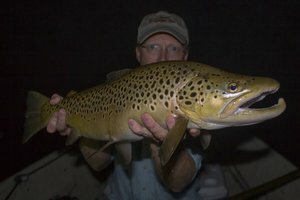 If someone beats me to a spot, it doesn't matter how good it is, I'll go on and look for another, even if it means extra driving (and I drive 2 hours minimum every time I fish and/or guide in the Park). Thanks again for the great comments. I think the best way to help others understand etiquette is to have civil discussions like this and hopefully plenty of people will read and gain some solid understanding of how to approach different situations. Exactly why I rarely ever fish with anyone anywhere near me. I know you don't have that option when you guide but that's the rule for me. Small stream, small trout...happy me. Small stream, small trout...happy guide! Hahaha, I love taking people to small streams. Most of the time it turns out great although it IS easier to just head for larger roadside streams and most of the time that is what people want. I wish people were willing to put forth a lot of effort to experience good fishing.